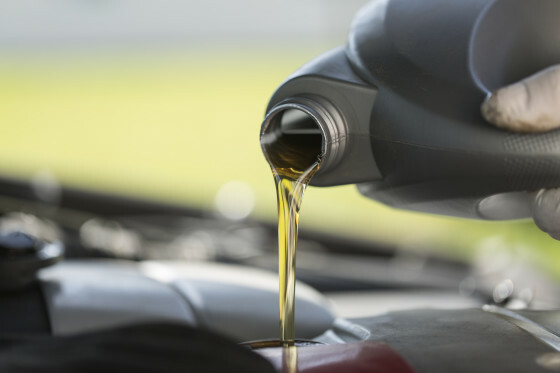 Engine Oil: Cars on the road, pretty much, use multi-grade oil (it works efficiently in cold and hot weather.) The multi-grade oils are rated by two numbers, like 5W-30. Cars usually have 5W-30 or 5w-20 engine oil when they roll out. Manufacturers recommend them because they are lighter oils, perform well in a range of temperatures and help improve gas mileage. Synthetic oils, primarily chemically compounded lubricants, rather than 100% petroleum, are also available at Lakehead Clutch & Brake. The best, simplest and safest way to know what’s best for your car is to read your owner’s manual. We can talk about the pros and cons of each as well, just let us know. ©2018 Lakehead Clutch & Brake.